Skin is the largest organ of the human body. It consists of three main layers: epidermis, dermis and subcutis. The skin has a number of tasks, it protects us from external influences and prevents drying out of the body and the entry of fluids and harmful substances and microorganisms in the body. Besides that, skin participates in the regulation of body temperature through several mechanisms, raising the hair (cower), sweating, widening and narrowing of blood vessels. The skin at the same time separates us from the environment but it also combines with it allowing their sensory nerve endings and bodies to touch and feel the world around us. The skin serves as a storehouse of fat and water and in addition to the skin produced by the solar light-UV radiation and vitamin D. The skin also certainly has an aesthetic role, especially among girls and women. So now when we know more about our skin, let see which foods and nutritions are good for clean and healthy Skin. Vitamins that improve the appearance and quality of the skin are vitamins C, E, A, K and the B complex. Among the most important dermatological discoveries is the antioxidant power of vitamin C, which opposes the harmful effects occurring excessive sunlight exposure. Free radicals generated by exposure of the skin to the sun, damage collagen and elastin, fibers that maintain the structure of the skin, leading to wrinkles, blemishes, precancers or other signs of aging. To make sure you’re getting enough vitamin C eat foods such as peppers, broccoli, cabbage, cauliflower and citrus fruits. Also, you can take vitamin C 500 to 1000 mg per day. Like vitamin C and this very powerful antioxidant helps remove harmful effects on the skin caused by sun exposure. By taking 400 units of vitamin E daily reduced the cancerous cell damage under the influence of solar radiation. If vitamin E and vitamin A are used together, up to 70% reduced risk of developing basal cell skin cancer, which is a very common skin cancer. Vitamin E also helps to reduce wrinkles on the skin, you can find this vitamin is in vegetable oils, nuts, fruits, seeds, olives, spinach. It is difficult to get sufficient amounts of this vitamin through food, so it is recommended taking supplements, daily to 400 units. Higher doses may be harmful because it leads to increased bleeding. Also, vitamin E is used in the form of a cream or lotion and relieves dryness of the skin and wrinkles. If the level of vitamin A in your diet is adequate and balanced, it is not necessary to use supplements with vitamin A, which can even have the opposite effect as the appearance of dryness and flaking of the skin. Vitamin A in moderation is needed for regeneration processes of the skin tissue. Fruits and vegetables are packed with beta carotene that are metabolised in the body to vitamin A. 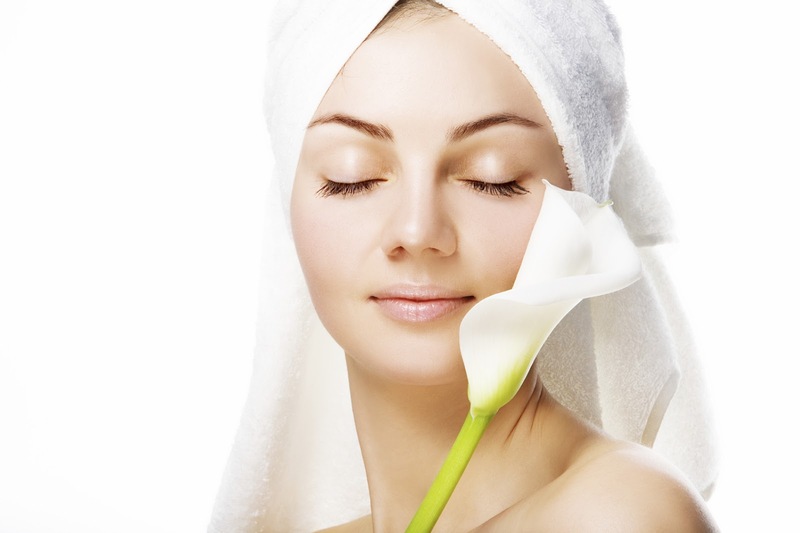 In the form of cream can be used for reduction of wrinkles, treatment of acne and psoriasis. Its primary use is for the treatment of acne when used in the form of retinol. When it comes to healthy skin the most important group B vitamin is biotin (B7), a nutrient that forms the basis of our skin, nails and hair cells. Without sufficient amounts of this vitamin, it can develop inflammation of the skin in the form of itching, flaking, and sometimes hair loss. Even mild biotin deficiency can cause symptoms. Biotin is found in many foods, most in bananas, eggs and rice. Recently, much attention is paid to preparations in the form of a cream containing vitamin B. These creams help in hydrating skin and increase muscle tone. Niacin (B3) is a specific form of vitamin B that keeps moisture in the skin. When located in creams effect is visible after only six days of application. Niacin has anti-inflammatory effect, is used for soothing dry, irritated skin. At higher concentrations has lightening effect on dark spots on the skin. Pantothenic acid (B5) is widely used by the damaged and dehydrated skin. As a nutrient that is important to stop the bleeding, vitamin K has no significant effect on the skin if the food intake. Some studies suggest that vitamin K can affect the reduction of dark circles around the eyes and bruises on the skin. In the form of creams vitamin K is combined with vitamins A, C and E in order to achieve said effect. Minerals that improve the appearance and quality of the skin. Scientists believe that this mineral plays a key role in the prevention of skin cancer. Taken as a supplement or in the form of creams, this mineral protects the skin from damage caused by the sun. If you spend a lot of time in the sun, selenium will reduce the possibility of burns, and the risk of skin cancer. If you want healthy skin, best sources of selenium are whole grains, nuts, seafood, garlic and eggs. Copper, along with vitamin C and zinc, helps to develop elastin fibers that support skin structure. The lack of this mineral occurs very rarely. If there are acne, very important mineral for healthy skin is zinc. Sometimes acne can be symptoms of zinc deficiency. Taken orally or in the form of creams zinc reduces the production of fat, and can be effective in controlling the formation of new acne and the treatment of existing. Foods rich in zinc is red meat, oysters, poultry. Alpha lipoic acid is very powerful antioxidant, stronger than vitamin C or E so that slow down the aging process of the skin. What makes it so special is the ability to penetrate the oil and water, and affect the skin cells inside and outside the body. Alpha lipoic acid protect cells from damage caused by free radicals and can be taken as supplements and creams. Red orange, cherries and blueberries are full of antioxidants, which are good for healthy skin, they reduce aging, disease and various inflammation and increase the production of collagen, making your look younger and healthier. Shellfish, sunflower seeds and sardines are a source of essential fatty acids that regulate the flow of nutrients and maintain your youthful appearance. Foods such as broccoli, spinach and dandelion liver will clean toxins, heavy metals and fat. The body will function better, a healthy liver results in healthy and clear sea and cleaner skin. Use rosemary against dark circles! Celery, carrots, green beans and cauliflower contain cellulose, which helps to remove stains from the teeth and provides your teeth shine. If you drink coffee, red wine or cranberry juice, eat a slice of apple, cucumber or carrot. This will remove the dark deposits from the teeth. As we age our hair and skin looks even worse. The proteins in meat, mostly chicken, lean cheese and cow cheese helping cells to renew, which also helps skin to look better. If you are bored with a meal that contains meat or dairy products, try instead soybeans and lentils that contain more protein than any other legume.